This painting started as a demonstration on techniques and quickly turned into a "healing" piece. I would add color that unintentionally would be covered. There came a point of letting go, of allowing the symbolism and the grey colors to take over. Latinos will likely understand the symbolism, though this type of work does not have to be understood except by the person healed. Ironically, a gentleman came by the studio and was drawn to the painting. He said he had to have it and I have to let it go. 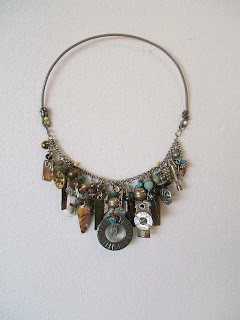 A convertible necklace made from altered industrial components. 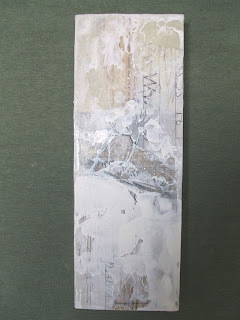 This found object necklace was traded for the beautiful collage seen in the next post. 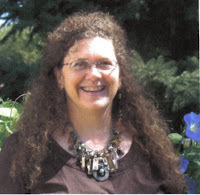 I added earrings and sent it to artist Laura Lein- Svencner. Thanks Laura...enjoy the necklace. 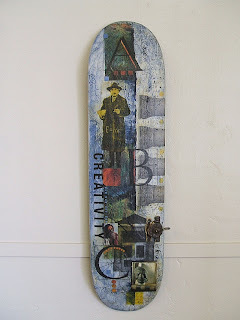 Collage on a skateboard deck by Laura Lein-Svencner. Laura saw my necklace on www.alteredbelly.blogspot.com and contacted me. I saw Laura's website and loved her work. We decided on a trade. She got the necklace and I got this beautiful collage. Thank you Laura, I love this piece. 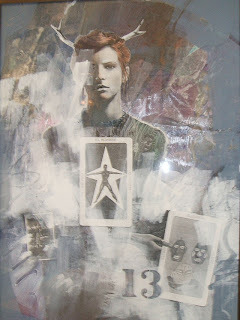 One of two collage paintings that will be on exhibited by the International Society of Assemblage and Collage Artist's. This is a White on White exhibit that will be on www.collagemuseum.com after October 2007. 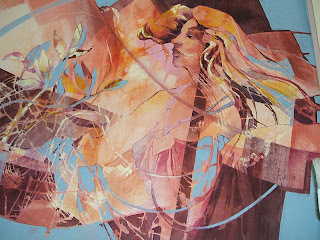 The art will travel to exhibits throughout the country. My Wednesday night class offers drawing, color theory, and the elements of design. The students study the anatomy of the face and figure to achieve likeness. Color theory to understand mixing verses glazing, color temperatures, and how to get away from the so called "flesh tones." Next comes composition, it's principles and design. Demonstrations, lectures, journal keeping, and lots of student teacher interaction is all part of the class. This is an on going class with limited seating. Contact artwithmoxie@cox.net for more information.